RC vehicles decontamination systems 'VDS series' permit spraying disinfectant liquids on all accessible surfaces of vehicles that pass through them. VDS series is particularly efficient, easy to install and it can be used both with a washing system and in indipendent configuration for vehicles without residuals as mud, topsoil, etc. 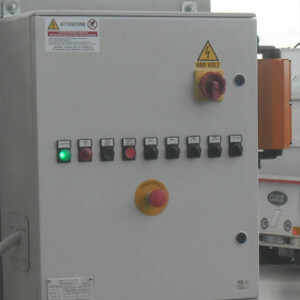 RC decontamination systems are extremely reliable and fully modular. 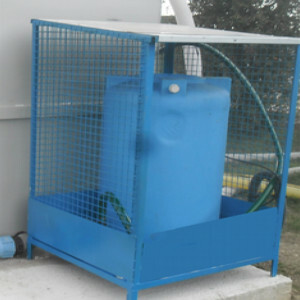 Their structure is highly adaptable to every working site, so they can be used for farming and industry as well. Using RC.VDS systems helps preserving the environment and it will ensure maximum return on investment over the long term. VDS.T01 system is fully automatic, compact, light and easy to transport. It consists of one or more nebulisation rings, an accumulation, mixing and pumping station, an electronic control group and a sensor for detecting vehicles. The pass-through line has a very low profile and, as an option, more nebulisation rings can activate at the same time. This ensures a safe disinfectant action even at high speed. 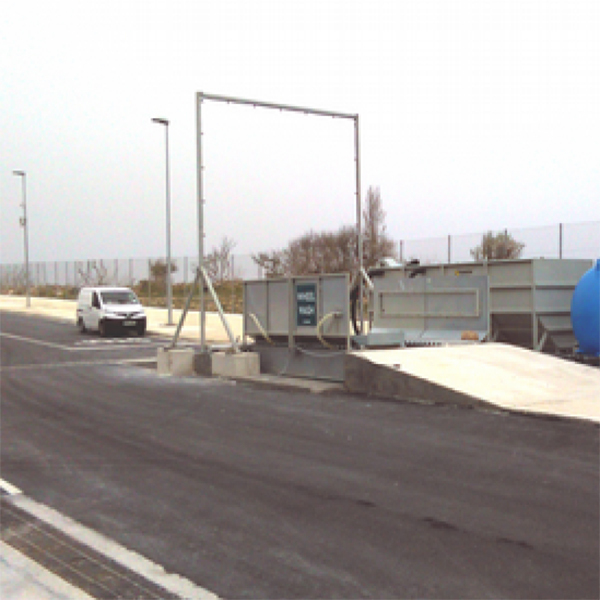 This system can be optionally equipped with tools for reducing multiples contaminants or with protecting sidewalls specifically studied for windy areas. Farms, quarries, mines, landfills, storage sites, reclaimed lands, municipal enterprises, sanitation plants, etc.